Whether you're servicing fast food, casual or fine-dining customers, you will never reach your full potential unless you hire the right restaurant SEO firm. But don't fret. 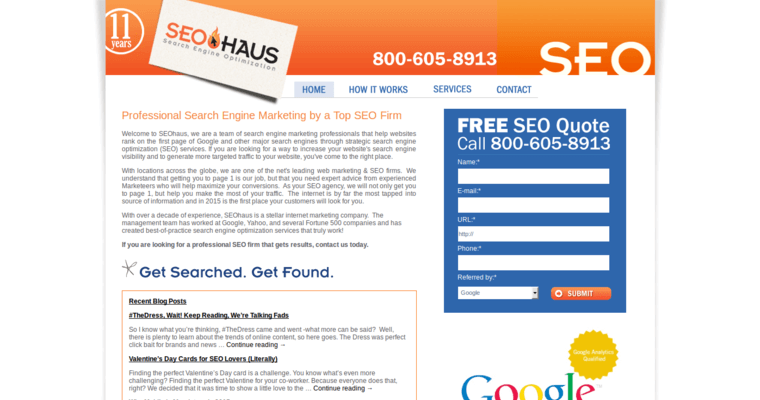 SEO Haus can help you. SEO Haus is a top SEO firm that services several key industries, including restaurants and hospitality. In fact, the founders of SEO Haus used to work for Google, so they know how to get you on the first page of Google and other major search engines. And with the company's expertise, you can be sure of getting the financial results you desire. From keyword selection and website design to search engine optimization and social media marketing, SEO Haus will work with you every step of the way to meet your needs. 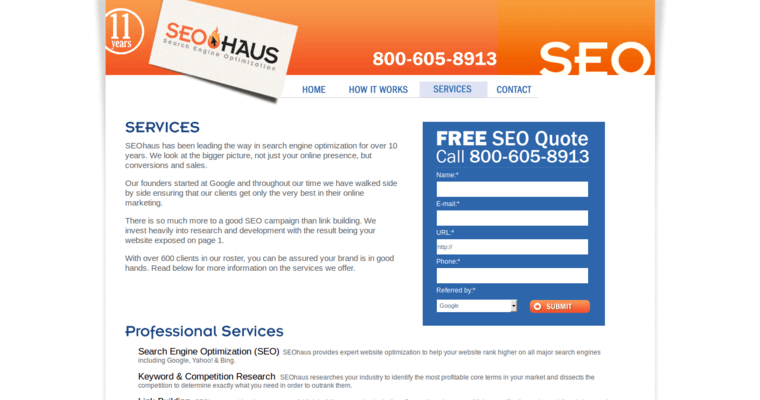 SEO Haus also offers competitive research services, link building, pay-per-click advertising and brand reputation management. 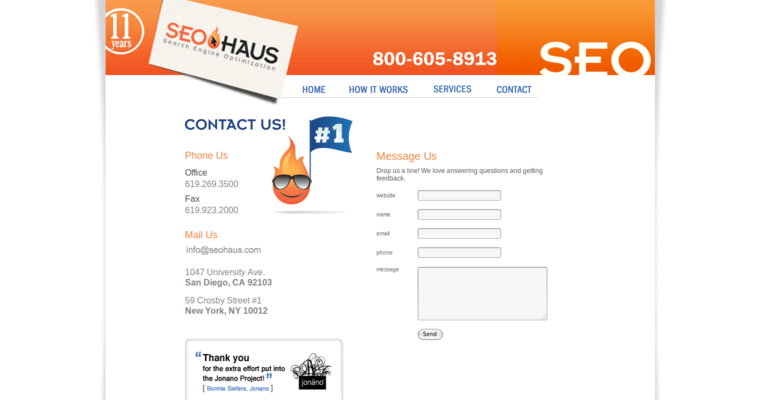 You can't go wrong when you choose SEO Haus. For more information, call 800-605-8913 today.